Sup'Biotech is a private engineering school located in the Paris metropolitan area, that is specialized in various emerging biotechnology-related fields. Sup'Biotech is part of the IONIS Institute of Technology cluster. It is one of the top biotech schools in France and is part of IONIS, France’s leading higher private education group. Its students go on into top positions in an array of industries including the health, bioinformatics, pharmaceutical, and cosmetics industries, green industries, and agribusiness. SUMMER SCHOOLS 2018 from Eikon on Vimeo. Sup’Biotech’s unique curriculum combines science and engineering coursework with management skills and industry-specific technical knowledge, preparing students for dynamic careers in research, management, and communication roles. 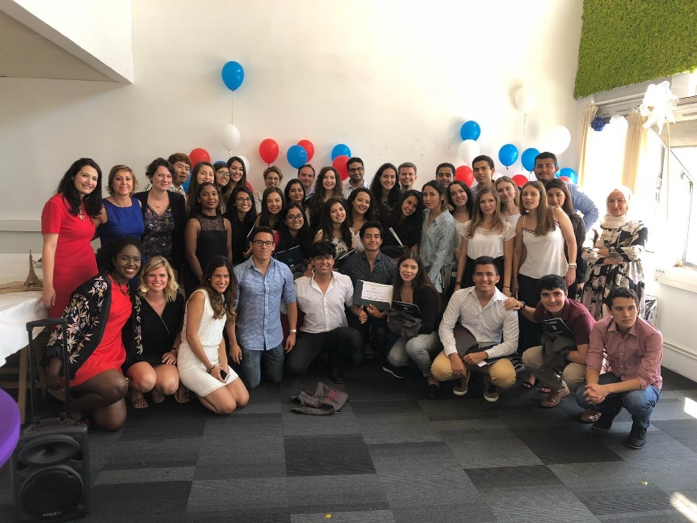 Our graduates possess not only the expertise needed in STEM-based careers but the interpersonal and management skills to effectively deliver their message. The summer program Cosmetics Product Development takes place on our campus from July 1st to July 20th. Students come from around the world to study in English, go on our cultural trips and befriend other students from different cultures in an experience often described by participants as “unforgettable”. Our students also learn about the domestic and international biotechnology markets. Sup’Biotech’s professors come from diverse training and educational backgrounds, such as universities, research centers, and industry. 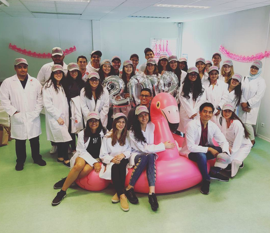 Sup’Biotech’s students are prepared for a wide range of responsibilities in various biotechnology and international corporations, working in the fields of health, cosmetics, the environment, pharmaceuticals, and agribusiness. The 200-billion-euro cosmetics industry is driven by innovation, quality, and results. Consumers that are increasingly aware of what they are buying have provoked a strategy change by cosmetics businesses to respond to changing customer expectations. Sup’Biotech believes that addressing this change will require both scientific and marketing expertise, and we are well-placed to provide this knowledge to students. Participants in the Cosmetics Product Development course will develop a product prototype for a target market that addresses a specific skin-based need, perform extensive market research, and develop a hypothetical commercialization approach to a new dermo-cosmetics product. Who can apply to Sup’Biotech Summer School? Applicants must have completed at least 2 years of studies in Life Sciences or Applied Sciences. Programs are taught in English: students must justify English language skills.Language requirements: CECRL B2 – IELTS 5,5 / 6 – TOEIC 600 - TOEFL IBT 65. Students can also provide a certificate or attestation from their home university demonstrating their knowledge of English. The number of participants is limited. Make sure to register early! The Summer Program is as much about having fun as it is about learning! 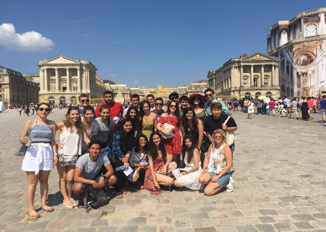 During the program, students make the most of their time in France by going on a boat tour down the Seine River, visiting a huge indoor waterpark, going to an action adventure park called Koézio, visiting the Palace of Versailles, and spending a day at Disneyland Paris, among other trips. They also visit biotech conferences, a brewery, and other trips designed to show the “application” side of biotechnology. Courses, including room, breakfast and lunch on weekdays, Language courses (French or English), biotech visits, all cultural activities & trips, the farewell party, a 3-week Paris transport pass and a lot more! You will receive a lab coat emblazoned with Sup’Biotech’s logo as well as many goodies!! If you are a student of one of Sup’Biotech’s Partner institutions, please contact us: a special discount will apply! Shuttle service: 100€. If you take this optional charge, a shuttle service will pick you up from the airport and take you to your home in Paris and back to the airport at the end of the program, the price may vary. Students live in shared rooms in Paris with host families or in Student apartments (with full access to a kitchen). Sup’Biotech has worked with host families extensively; they ensure students have an insight into French culture and are well-provided for.